. :: Pulak Das - Abode of Creativity ::. PULAK DAS: Born 1969, armed with BVA & M V A Postgraduation with first class in painting from Rabindra Bharati University, Kolkata 1998. 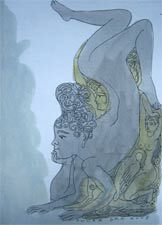 Invited in young faces in Indian Contemporary Art "at Birla Academy" Kolkata 2003, Academy of Fine Arts 2006. 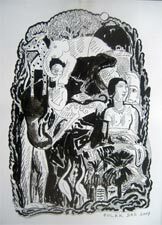 Currently he is a guest lecturer in painting department Rabindra Bharati University & works from his studio in Howrah.